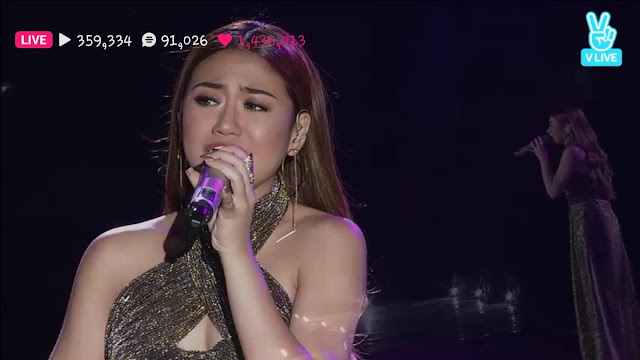 Morissette Amon wowed the audience as she showcased her powerful vocals at the recently concluded Asia Song Festival in Busan, South Korea. The Birit Queen, who represented the country at this year's music festival, performed Little Mix's "Secret Love Song" and a medley of The Emotions' "Best of My Love" and Mariah Carey's "Emotions." "I am so happy to be here with all of you tonight and I’m very, very grateful to be part of this year’s Asia Song Festival. Thank you so much for being so warm. Such a beautiful country you all have here and you guys are amazing" she said. Other performers were Asia's top music artists like Japan's Mika Nakashima, Indonesia's Shae and MOCCA, Vietnam's Dong Nhi, Singapore's MICappella, South Korea's EXO and Taeyong of Girls' Generation, among others.